23 hours 7 minutes and 22 seconds, that's how much yoga I did during the last 30 days thanks to the 30-Day Yoga Challenge from doyogawith me. What a great experience. I started using this yoga site because of my friend Silvia, way back in November 2011. Then my back started to act up and I wasn't really strong enough for most excercises and neither did I have any idea what I was doing. 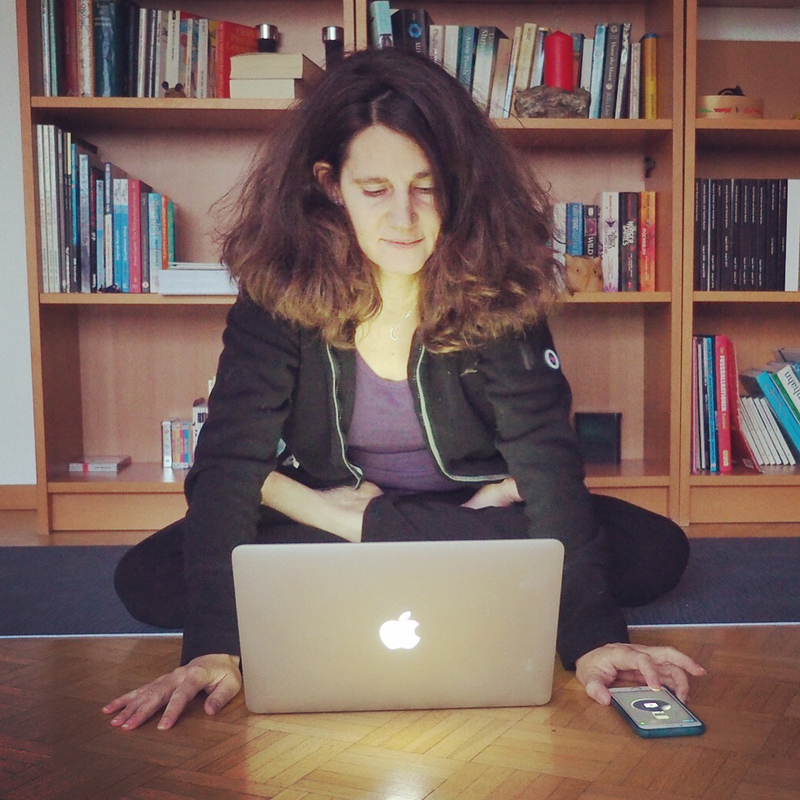 I visited the site on and off, then I had to do intense physio training to get better over more than a year and I mostly forgot about yoga. I occasionally came back and I followed other yoga sites but not very regularly. I really came back to yoga when I signed up for my first yoga retreat in Portugal. By the time I came back I was seriously hooked and I think I've done some yoga most of the days and very often I used Do Yoga With me. I also started to go to a local yoga class once a week on Wednesday (I did so in January as well, so sometimes I actually did yoga twice a day). But having this amazing site has been so helpful because they offer so many good yoga classes. I will try to continue now with the 14day intermediate challenge, but do the classes over more than just two weeks, alternating with grounding hatha classes. It was sometimes intense to make room for these lessons every day. Some of them are only short but a few are more than an hour and I don't have a lot of time each day. I was lucky to start during my holidays, but once school started I had to be creative. 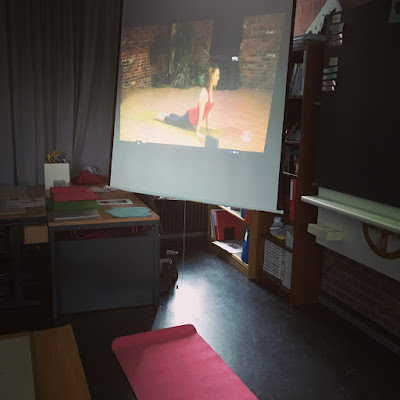 I did all my Friday yoga classes in my actual classroom, by moving away my desk and setting up the projector. The first time this felt a bit weird but now I think I might keep doing it because it was really great to wind down like this before teaching again in the afternoon. Because I liked this blog entry about doing monthly mini resolutions over a whole year, for my February mini challenge I'll try to work on my photos, first of all I want to do my next photo book which should have been done about a year ago and then if there is time left, I'll continue to tidy up and tag the photos that aren't done yet in my iPhoto. There are a lot of great videos for everyone but especially for beginners.